I am me, I am unique, so you can’t be me. I’m an almond joy; I’m an irresistable nut that drives you crazy. I have a doll that has a button as a bellybutton. Don’t make fun of me because my mom gave birth to a funny looking child. Does that hat make me look fat, or is it the jeans? Do woodpeckers beak ever go dull? Why are there so many men gynecologist's? Wow! that’s amazing! 30k! wisdom and more wisdom upon wisdom :) Congrat wundayatta! April 24th, 2010 Great Answer (22 ) Answer to Who's made it to the lurve pinnacle, wunpointatta time? Congrats @MacBean! YAY! More cookies for me to bake! This part is going to be out of this world. November 30th, 2009 Great Answer (20 ) Answer to Can we congratulate Janbb on 10K? 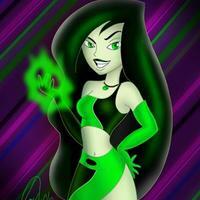 Login to send a message to shego. Grats on the 10k, nice job! I love the picture you linked for the Fluther mansion.